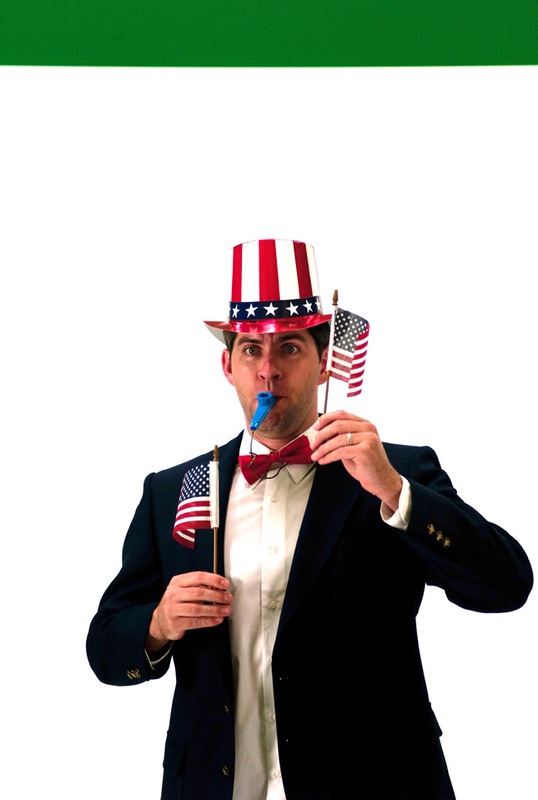 Kazoo Guy Does 4th of July! You’re a Grand Old Flag is our first of six kazoo videos releasing this year, and dang is it fun! We found Mister Tim, the talented gentlemen starring in the video, on the interwebs, where he became famous for his rocking rendition of Enter Sandman. Yes, that’s all the same guy, and yes, he really is playing the kazoo and making all of those sounds with his mouth. We shot this video in our studio, then Mister Tim flew back to Colorado to edit. Andy gave stellar direction along the entire way and finalized the edit in-house. Special thanks to Amia for hunting down all the random props and wardrobe items. Send this as an eCard here! This entry was written by paulhanges and posted on July 4, 2010 at 10:38 am and filed under Holiday, New Content. Bookmark the permalink. Follow any comments here with the RSS feed for this post. Trackbacks are closed, but you can post a comment.